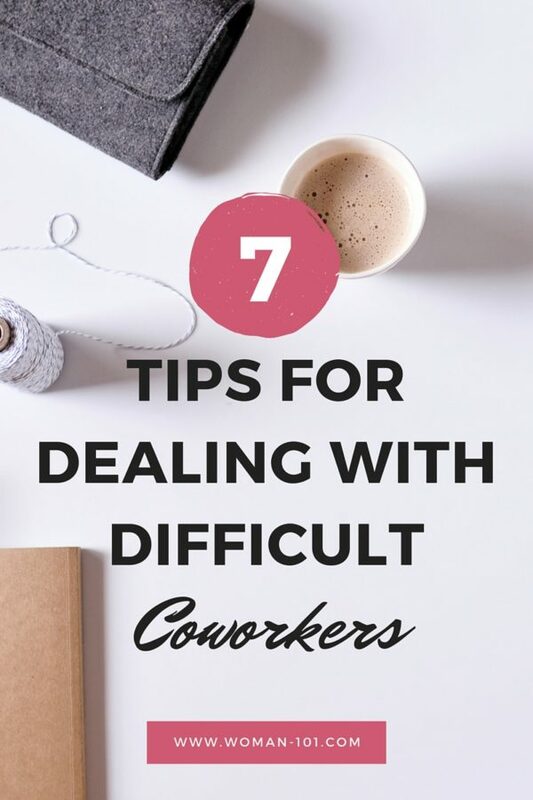 Get My FREE Cheat Sheet for Dealing With Difficult Coworkers!GET IT NOW! 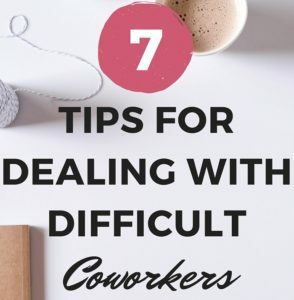 7 Proven Steps for Dealing with Difficult Coworkers! GET MY FREE CHEAT SHEET! Procrastinate much? Every working woman does it one way or another. So…if you’re doing it, you’re in good company! But still, procrastination is your worst enemy…so, come to think of it, there’s not a damn good thing about it, other than the company you’re in! I wish I could say that procrastination is something you can somehow remove from your life, but…nah. It doesn’t work like that. But how does it work? 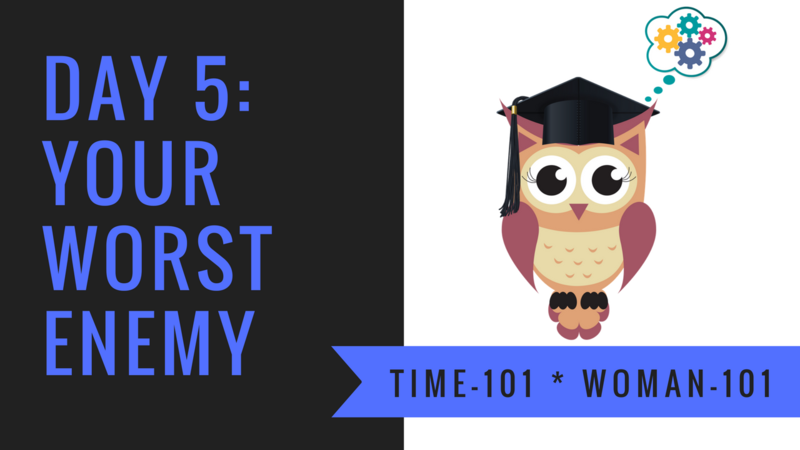 If you understood that, you might understand how to tame your urge to procrastinate in the first place. You may never be able to completely rid yourself of it, but taming it and keeping it at bay…that you can do! And as a busy working woman, that you need to do! In English, when you procrastinate, you’re delaying the performance of a task. It’s a simple problem…but dealing with it can be complex nonetheless. But when you know you need to do something, why is it that you’ll avoid doing that very thing anyway? Is it just laziness? Sloth? Sadomasochism? Well, you usually put off things that you should be focusing on now in order to focus on other things that are more enjoyable or comfortable for you. As a busy working woman, we usually juggle a baker’s dozen’s worth of flaming torches–house, spouse, kid, worship, work, commute, etc. We often have so much to do that it’s overwhelming. So how do we deal with that overwhelm and uncertainty? By selecting comfort and certainty, that’s how. This is why you’ll have an immaculately clean house but you’ll have made no cold calls and/or finished no important paperwork if you’re working from home. Or this is why you can handle ten small tasks in the office like a pro, but in the meantime, that huge project with the looming deadline keeps collecting dust in the corner. And you’re pouring sweat…but never getting to it yet, nonetheless. It can even explain why, with a briefcase exploding with work to do after-hours and a kitchen filled with dirty dishes and crying children, you’re tuning it all out to stare at cat videos on YouTube, Facebook or both. How do you know you’re being your own worst enemy? When you procrastinate, that’s how. If you’re focusing on low-priority tasks instead of the high-priority ones, you’re procrastinating. You’re also procrastinating when…just as you’re knee-deep in a big, ugly project that’s when you decide to take a bathroom break, call daycare to check in on the baby or go out to grab a cup of coffee, etc. When you’re volunteering for the millionth thing while juggling all of your flaming batons and multiple hats (wife, mother, elder-care provider, household treasurer on top of employer/employee)…guess what? You’re procrastinating! If it takes more time for you to explain why you’re not doing something as opposed to you actually biting the bullet and doing it…. Yup! Procrastination. If you’re rock-solid as to your WHY, then you can call up enough leverage on yourself in order to get serious about following through on the bigger, uglier tasks of life. This is especially so if those tasks are in alignment with your WHY or your living more in harmony with respect to your WHY in the first place. Of course, if the bigger, uglier tasks of life which you’ve been avoiding are NOT in harmony with your WHY, that might explain why you’re so unwilling to do them and/or follow through on them! You can use your WHY as a “carrot” to motivate yourself with positive outcomes and desirable results. OR you can use your WHY as a “stick” to push yourself through to finish on things that scare you, but involve necessary evils (overcoming your fears) in order to achieve a WHY-related breakthrough or goal. If you’re being lazy, your WHY isn’t motivating you enough, my Wise Owl. You need to tweak that WHY for your sake and for the sake of your family and/or any loved ones you’re working so hard for every single work day. If you’re riding the Hot Mess Express then maybe you need to be better organized. Sometimes we’re procrastinating because the work we need to do is buried in a snarl of other files, paperwork to be filed, billing sheets, etc. If you bite the bullet and clean up the mess, you can prime the pump to get down to the work you’ve just unearthed. Perhaps you need to use prioritized to-do lists or set down a schedule (I know, yawn). But still, depending upon the way in which your clutter and confusion presents, this may be just what the doctor ordered. 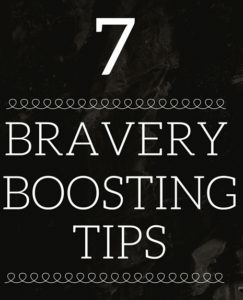 Have you ever really and truly tried any of these things? If you have, did you have your WHY in mind as you did them? Carrot or stick, your WHY can work wonders for you when you keep it up on your proverbial radar screen. Would a professional organizer help tame your home, your office, your home office? Is this an investment in your future success? Does your WHY require that you excel in these spaces? Probably at least a few of them, right? You better avoid procrastination down the road with any of these solutions, because you’ll have broken things down into baby steps or digestible chunks, you’ll have deadlines in mind and you’ll know what your “next best step” is, in a concrete way and NOT in some fuzzy sort of way. If you’re overwhelmed by a task after applying these solutions, get an accountability partner. Those big important tasks aren’t going anywhere. Sometimes you just need company or someone else to answer to (or both). If you can’t afford a life coach to do the trick for you, then get a loved one or a friend to serve as both cheerleader (carrot) and task master/mistress (stick). To get the best help from these people, be sure to share your WHY with them. They can use that valuable intel along the way, to do their job more effectively. With your WHY in mind, get into real world goal-setting based upon your to-do lists, schedule and overall responsibilities. Get S.M.A.A.R.T.! Use a success ritual every single day, spending mere minutes at a clip to keep your eyes on the prize and to stay motivated! That’ll break down the urge to procrastinate, big-time. Procrastination is a habit; to unlearn a habit you have to replace it with a different, healthier habit. 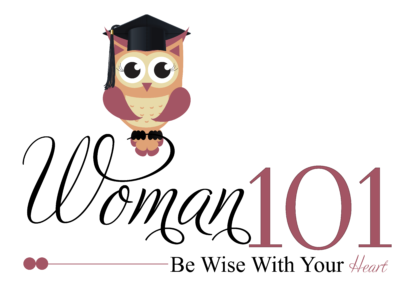 A daily success ritual is IT, Wise Owl! Amass your Dream Team, which will likely involve your loved ones, a life coach, a psychiatrist (deeply ingrained blocks or issues, anyone? ), a professional organizer, an accountability buddy, etc. Make sure you have a supportive tribe or of course you’re going to continue to procrastinate! You’re a hot mess and no one’s helping you to be anything else but, right? Sometimes all it takes to finish a task you’ve been avoiding, be it large or small, is taking the time to break the seal. Don’t know what I mean? Tell yourself you’re only going to do something scary for 10 minutes. Set a timer for exactly 10 minutes on your phone, watch, device, etc. There. That’s not so bad, is it? Nope. Then get involved in the task. You might want to set the stage for success before you set that timer. As in, straighten up the general area, make it comfy for you, have it be brightly lit, play some music in the background (or via ear buds if you’re at work…if that’s possible or permissible of course) and THEN set that timer for 10 minutes. And that’s all you’re going to give yourself. Are you going to work on it for more than 10 minutes? You know the answer…no way. Once you’ve broken the seal and the work, the creativity, the involvement starts to flow…you’re good to go. Give it a try, Wise Owl! You don’t want to “fail with honor.” You know…you’re so busy, you can’t get it all done. You’re everyone’s savior but your own. You nail yourself to the cross, you’re such a saint and martyr simultaneously. You’re the shoemaker who has no shoes. You get the picture. You can’t be the Queen of Everything. Get clear on your WHY so that you can get clear on your prioritizing. Enlist the aid you need, have a quick, celebratory success ritual daily and soon you’ll be savoring success instead of riding the Hot Mess Express. And get down off the cross, sister. We need the wood. And you need some wins! Your coaching really helped this Chief Legal Officer! 7 Proven Steps to Deal With Difficult People!